Is My Home Equity Part of a Retirement Portfolio? 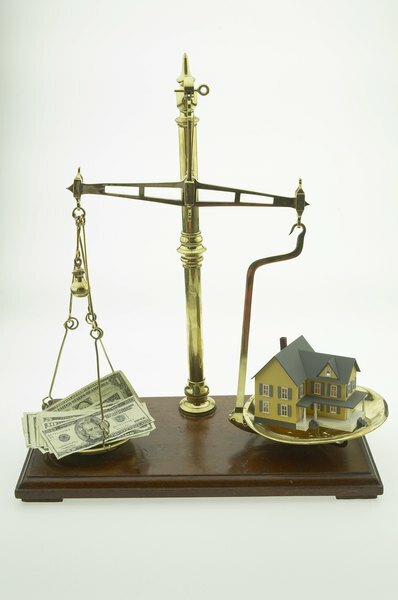 Home equity rivals financial securities for many individuals. 2. Are Retirement Accounts Insured Above $100,000? You should consider your home equity as part of your retirement portfolio. The ownership of a real estate property is an asset that can be beneficial to its owner, just like a stock or a bond is an asset. You can manage your finances more effectively when you understand how your home equity fits in your portfolio. An asset is something you own that is likely to provide some benefit in the future. Your home equity qualifies as an asset because it can be used to your benefit in many ways. Like stocks, it can be sold or borrowed against. What’s more, in many cases owning a home can help defray the expense of renting a comparable property. Considering home equity as part of your total portfolio will help you appreciate your financial situation. Including your home as a holding, are you diversified? Your home equity may be your largest asset, and if this is the case it would not be prudent to concentrate risk by overweighting stocks that are connected to residential real estate. Are Your Job and Home Linked? More severe risks can threaten the residents of “company towns” where there is one employer responsible for most local employment. A person who works for the dominant local employer and who owns a home would tie the value of their real estate, their employment income and any company-run pension to the financial health of single company. Homeowners and workers who live in areas where there is a dominant industry are at the mercy of the health of that industry. For example, autoworkers who own homes in the Detroit area should recognize that the value of their careers and their home equity are not diversified. People in this situation may benefit from insurance products that protect against layoffs. Do You Have Enough Assets to Fund Your Retirement or Other Financial Goals? If you are willing to sell or mortgage a house, home equity can be considered as part of your portfolio to fund retirement. Some retirees sell their homes outright to move into smaller homes, condos or assisted living facilities. Others tap into their home equity through reverse mortgages.